Try the menchi katsu place in Yanaka Ginza, I can’t remember the name but it is right in the middle of the block. And it too has lines. But I thought really delicious. In fact the whole street has some very interesting take away places. And there is one artisinal shirataki maker on a sides street nearby. I often think this — that sometimes people queue because a place is famous or they’ve been told it’s the best, but they’ve never tried any of the alternatives, so cannot assess whether that’s true for themselves — and then, in order to justify their efforts/expense/time to themselves, they go ahead and gush about it and recommend it forward to others — and the myth perpetuates! 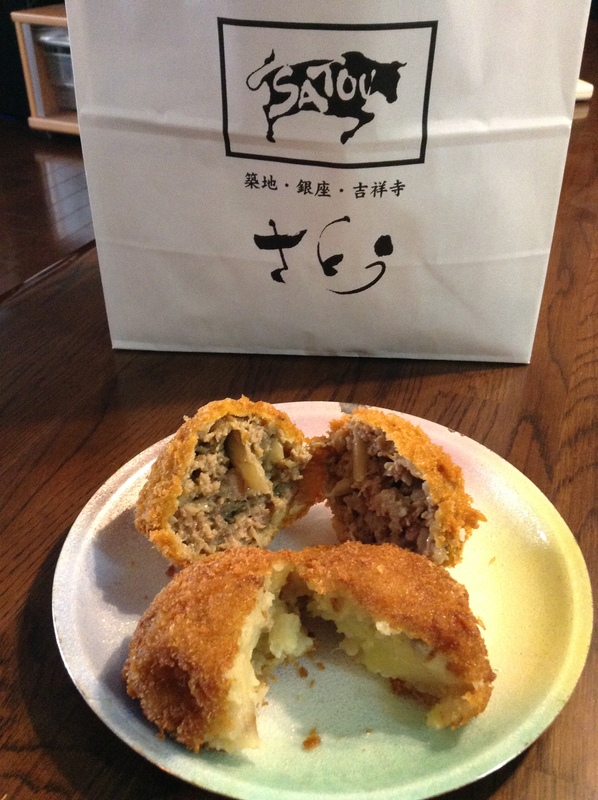 I think the menchi katsu place in Yanaka is called Niku no Satou. Curious about the shirataki. Is it at the tofu shop when you leave Yanaka Ginza and take a left? I’ve walked by before but never bought from there. Kavey, that is the case I think with Sushi Dai and Daiwa Sushi at Tsukiji Market. I stood outside this store for a long, staring at the queue and wondering whether I should join it. I did not in the end, but wished I did ‘cos the menchi katsu looked so good. It’s not worth standing in line for. Consider yourself lucky for not wasting your time in line.